Microsoft is upping its chat game for real-time co-authoring in Office Online. 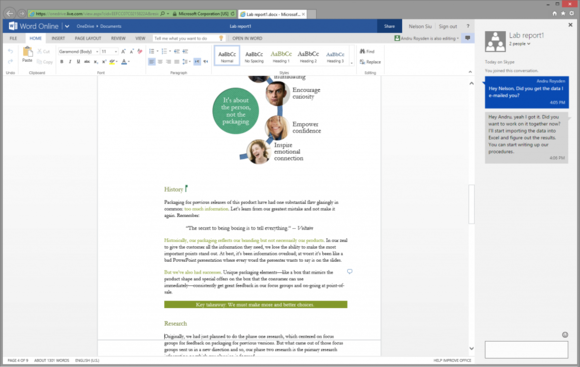 Office Online users will see a dedicated chat button appear inside Microsoft PowerPoint and Word in the coming weeks. Just click that button while you’re collaboratively editing a file to start chatting with everyone working on the document. As an added bonus, Microsoft says you’ll be able to continue any chats started in Office Online on Skype on the desktop or your smartphone after you’ve closed the file. 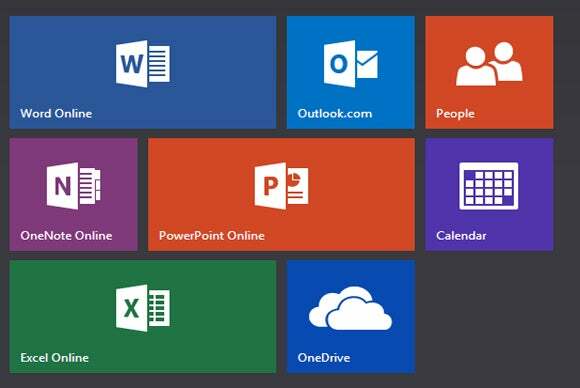 Why this matters: Microsoft is working hard to make its services into cross-platform tools and that means Office needs to be a suite of top-flight web apps. The lack of in-document chat was a glaring omission from Office Online and it’s good to see this feature coming soon to PowerPoint and Word. But offering an in-document chat app isn’t enough. The real test will be how well chat works—not how easy it is to start it. Truth be told, Microsoft has allowed you to chat with one other person inside its online web apps for quite some time, as we noted in March. Getting it to work, however, was a little tricky. First, you had to initiate a chat inside the main dashboard of OneDrive. Then, if you opened a document, your chat window would follow you there. Chatting with multiple people, however, wasn’t an option. Another problem with previous iterations of Office chat is that you had to have your collaborators as Skype contacts before you could chat with them. That may not be a problem for the most part, but it’s not hard to imagine a situation where you’ll want to work with someone on a document who is not on your Skype list. Google Docs does not require a Google Chat or Hangouts connection before having an in-document chat with someone. Here's hoping Office Online will do the same. We'll know for certain as the feature starts rolling out in the always ambiguous "coming weeks."